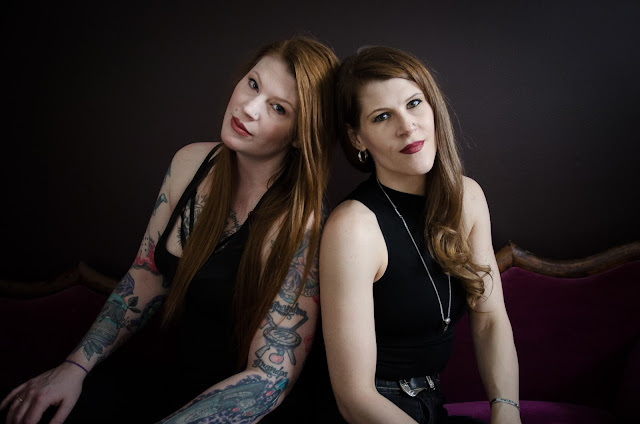 Since 1996, Canadian singer/guitarist Morgan Lander and her drummer sister, Mercedes, have led Metal veterans Kittie through more than two decades of immeasurable highs and soul-crushing lows. Now, a years-in-the-making documentary film aims to tell the truth behind one of the most complex and emotionally charged narratives in music history. The result of a successful Indiegogo campaign launched in 2014, the just-released Origins/Evolutions traces the band’s history from their beginnings as eager high schoolers writing primitive tunes to their most recent years as a still-relevant, world-traveling sonic force. For Lander, holding a final copy of the three-disc (DVD/Blu-ray/career-spanning live CD) package in her hands has been a heavy experience. 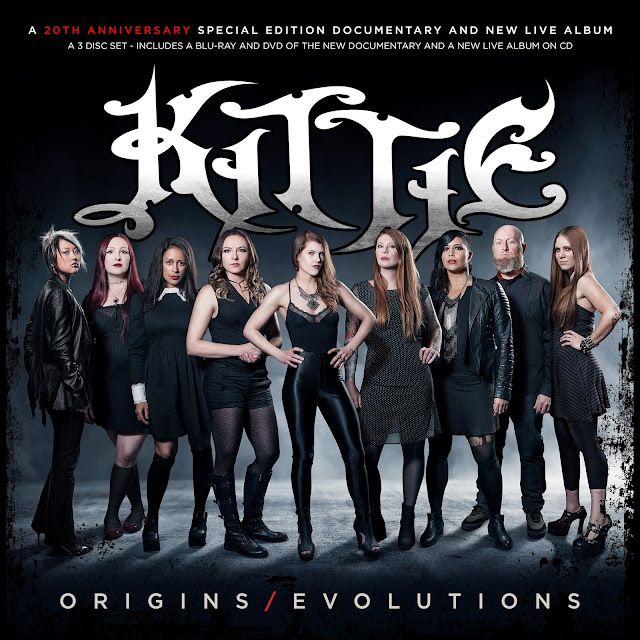 In addition to chats with family members, friends and supporters, Origins/Evolutions boasts extensive interviews with seven of the nine musicians who’ve spent time playing with the Landers under the Kittie banner over the years. Although former bassist Talena Atfield appeared in the original promotional video for the Indiegogo campaign and on the initial poster for the project, her image is noticeably absent from the cover of Origins/Evolutions. The end result of Origins/Evolutions is an intense tale of a band unwilling to surrender despite facing a seemingly endless array of obstacles. 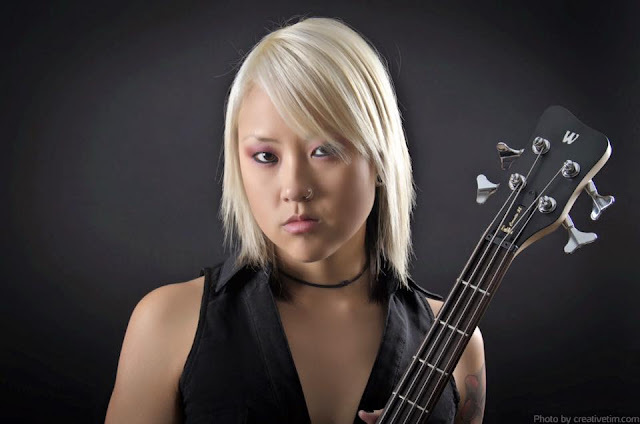 Battling drug issues and overwhelmed by the band’s sudden fame, original bassist Tanya Candler jumped ship right before the release of Spit in 2000. Her replacement, Atfield, joined the band in time to appear in the video for their breakthrough hit “Brackish” and tour in support of the record. Just as work began on 2001’s Oracle, guitarist Fallon Bowman left after a fiery inter-band blowup. 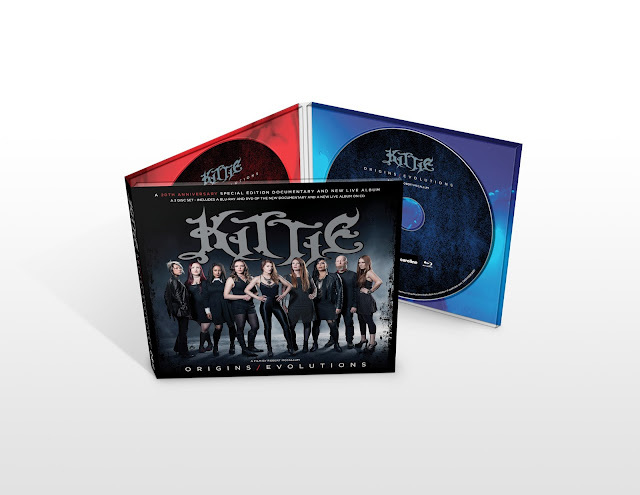 (Check out this bonus feature for Bowman’s perspectives on the split and her life and career after Kittie.) Atfield soon followed the guitarist out of the band, leaving the sisters to lead a revolving door of guitarists and bassists that has never really stopped spinning. Along the way, the sisters also faced everything from label woes to a lawsuit by Gene Simmons to the sudden death of their father/manager, Dave. Any one of these calamities would have stopped a lesser band in their tracks, but Kittie never gave up. I don’t have a final statement, because it’s not over - and we always come back for more. Tragically, what was meant as an encouraging coda to the film took on a new – and deeply sad – meaning between the end of the production for Origins/Evolutions and the project’s release: Trish Doan, a gifted musician/performer and part of one of Kittie’s most popular incarnations, died in February 2017 at the age of 31. In an act of tremendous strength, Kittie responded to Doan’s passing by soldiering on as always. Late last year, various past and present members gathered for a special live show in London, Ontario to coincide with the premiere screening of Origins/Evolutions. Not surprisingly, all of the hindsight associated with the Origins/Evolutions endeavor has resulted in Lander doing some serious soul-searching. Of course, the various recent activities surrounding Kittie lead to an important question: Where does Lander see the band going from here? While the world waits for Kittie’s next move, fans can listen to the Witch Finger Horror Podcast, which features Lander and friends Yasmina Ketita and Megan Stinson watching and reviewing some of the best of the worst in ’80s cinema. While decades’ worth of bumps in the road led some to count Kittie out more than once, they are still here. What does Lander credit for the quartet’s undying resilience?